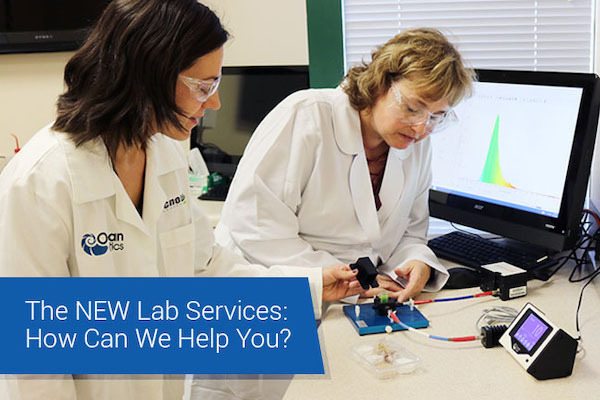 Headquartered in Dunedin, Fla., Ocean Optics is a leading supplier of solutions for optical sensing - fundamental methods of measuring and interpreting the interaction of light with matter. With locations in Asia and Europe, the company has sold more than 120,000 spectrometers worldwide since 1992. Ocean Optics’ extensive line of complementary technologies includes chemical sensors, analytical instrumentation, optical fibers, and optics. The company is part of the Halma group of safety and detection companies. After collecting entries from around the globe, Ocean Optics has named two winners of its World Cup of Applications contest. New spectrometer delivers exceptional stray light performance with high sensitivity. Scripting Language Increases Power of Jaz Modular Spectrometer Nov 19, 2010 Now available for Ocean Optics' Jaz modular sensing system, Jaz Scripting Language (Jaz-SPL),enables users to customize spectrometer data acquisition, processing and export functions. 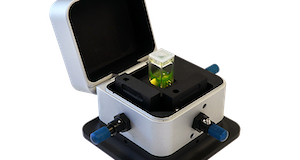 High Resolution Near-Infrared Spectrometer with Spectral Response from 900-2500 nm Oct 18, 2010 Ocean Optics has expanded the capabilities of its small-footprint near-infrared spectrometers with the introduction of NIRQuest512-2.5. A high-resolution device with response from 900-2500 nm, NIRQuest512-2.5 is well suited to laser characterization and applications requiring longer integration times. SteadiQ Neutralizes Temperature Conditions for Accurate Spectrometer Measurement Aug 31, 2010 A new accessory from Ocean Optics (www.OceanOptics.com) is broadening the range of applications for its field-portable spectrometers. The SteadiQ provides a temperature controlled atmosphere, helping to stabilize temperature effects and eliminate temperature drift in inclement conditions or extreme temperatures from -20C to 50°C. Ocean Optics’ LIBS Technology Spots Fake Antiques Aug 17, 2010 Technology from Ocean Optics (www.OceanOptics.com) is being used in China's Beijing Antique City to separate authentic ceramic antiques from fakes. Nationally recognized antiques appraiser Guan Haisen employs an Ocean Optics LIBS system, with QE65000 spectrometer, to help him identify artificially aged ceramics and artifacts. Ocean Optics Spectroscopy Software Add-on Calculates PAR Jul 23, 2010 A new add-on module for Ocean Optics' SpectraSuite Spectrometer Operating Software allows users of the company's miniature spectrometers and Jaz optical sensing systems to calculate Photosynthetically Active Radiation (PAR), an important parameter for evaluating the effect of light on plant growth. New NeoFox Sport Handheld Optical O2 Sensor from Ocean Optics Jan 11, 2010 The NeoFox Sport is a portable, handheld optical oxygen sensor for measuring dissolved and gaseous oxygen pressure in a variety of media.